I have been so very busy with different trainings these past months that I know my blogs have been slow in coming! But I hope to be back on track now as we speak. We already discussed the impact of the different sensory systems on reading as well as the influence of praxis, timing and bilateral integration for interhemispheric organization. All of these would majorly impact on decoding skill, though also on our comprehension of what we read. Learning to decode occurs for a certain period in early school years and has to become an automatic skill. Comprehension skill continues to develop throughout our adult lives. The integration model of Kintsch and Rawson (2005) state that when we read, we create a personal representation of its meaning, a mental model of sorts. This mental model is derived from information from text and our general knowledge of the words and topic. Once again this takes us back to development. In order to create this mental model, we have to be able to visualize, which calls on abstract formation, the ability to see what is not concretely in front of us. This skill develops through play as we imagine and play out stories and everyday scenarios. So many children today are over exposed to visual media taking away the responsibility of the mind to need to visualize for itself. Many children can use the visual media to store information in long term memory and then retrieve their story line, sequence and all through long term memory. Teachers and parents may think this is a wonderful accomplishment and it certainly is good for sustaining long term memory. But it fails in the integration work that occurs when we create stories ourselves, from our own mind with our sequence, timing, characters and visualization of different plots. It is the development of working memory that enables the mind to bring the story to life so that as we decode the letters, the words are shaped into meaning and at the same time we can reflect and recall past information of concepts already known to us, all done simultaneously as we also sequence and prioritize the information at the same time. Our ability to use working memory is tested by neuropsychologists (educational psychologists) through assessments that incorporate the visual and verbal stream of information. It is the ability to integrate what we see and what we hear at the same time in the cortex that provides the adequacy of our working memory capacity. If there is a delay in either stream of information, a “mismatch” of information occurs in the cortex. It is almost akin to watching a badly dubbed movie where we see the mouth move in a certain way, but the words we hear do not match. This causes the student to sometimes need to forfeit one stream of information for the other, which shortens the availability of working memory and it becomes too much hard work to read. 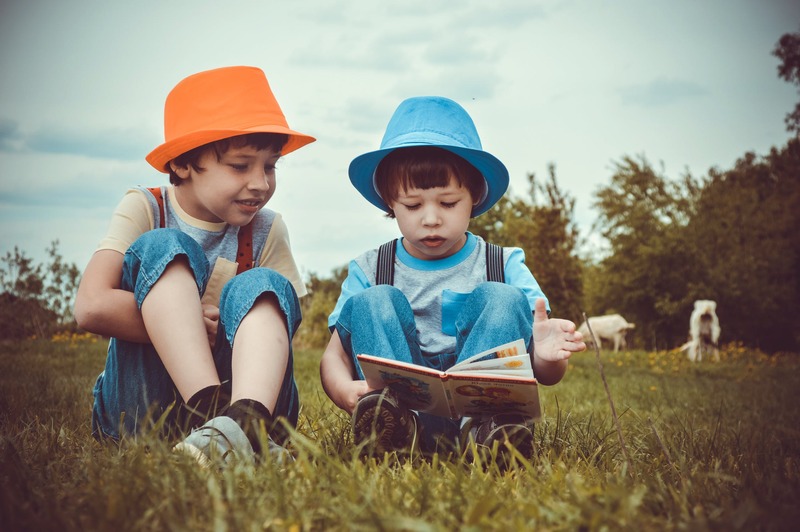 Of course, comprehension also depends on the ability to use and understand language and vocabulary is one of the largest predictors of later reading proficiency. My colleagues in Speech Language Pathology can speak far more eloquently than I on the topic of language, as this certainly is an important consideration for reading comprehension. On the linguistic level individual words and the meaning of the words are considered. There is also the construct of “Microstructure”, wherein we recognize and process larger chunks of text. Finally, we also consider “Macrostructure”, wherein we recognize and process themes, topics and genre information. Different aspects of language in reading include phonology (sounds of words) and semantics (meaning of words). Grammar would be the structure of words and sentences, which could lead to struggles understanding complex sentences and working out “who” did “what” to “whom”, as well as experiencing difficulties structuring sentences. Pragmatics, which contains the social use of language, is included. Finally, there is also the aspect of figurative language, which occurs when we take language at face value and attribute multiple meanings, not only a literal meaning. Students who struggle in this area find jokes, sarcasm and wordplay confusing. Reading comprehension is a developmental skill and requires processing speed and working memory along with imaginative thinking and creativity derived from the ability to visualize a mental representation of what we read, while we also have to understand the language we are encountering. It is complex, but if we target the different components through a multidisciplinary approach, there is no reason why children with adequate intelligence could not learn to read and do it well. I hope you enjoyed this series with me. Next time it will be on to a different topic for us to peruse and ponder.